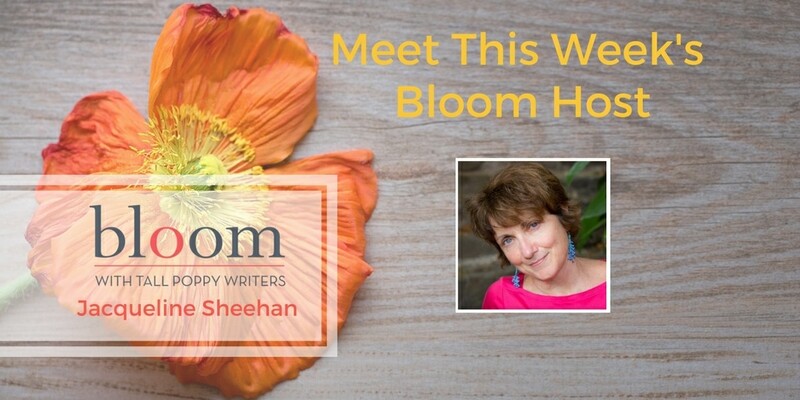 Are You in Bloom with Jacqueline Sheehan? This week’s Bloom host is Jacqueline Sheehan. She has a big giveaway week planned–as it should be in a week that includes Mother’s Day and the Royal wedding! She’ll be giving away a number of books from Tall Poppy Writers, and more from her guests. Julie Maloney, author of A Matter of Chance will be with us on Wednesday from 2-3 Eastern Time and on Tuesday, we have a surprise guest for the entire day! Her novels include, The Comet’s Tale a novel about Sojourner Truth, Lost & Found, Now & Then, and Picture This, The Center of the World, The Tiger in the House. 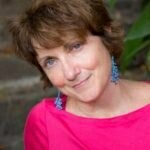 She writes NPR commentaries, travel articles, and essays including the New York Times column, Modern Love. She edited the anthology, Women Writing in Prison. Jacqueline has been awarded residencies at Hawthornden Castle, Jentel Arts Colony, and Turkey Land Cove. She teaches workshops at Grub Street in Boston and in Scotland and Guatemala.